Greek wine has come a long way since those ignoble days when retsina, the pine-tinged beverage that reminds me of a freshly cleaned boy's toilet, defined the country's wine industry. 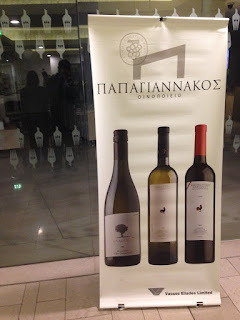 During the past ten years, Greece's exciting work with a myriad of endemic varieties have left a conspicuous mark on global wine lovers' palates; demand for these wines is rapidly increasing and, unfortunately, prices are soon to follow with Paris Sigalas' earth-shattering whites, for instance, already asking fans to cough up an additional ten Euros per bottle. On average. Besides Xinomavro, a red I would love Axe to bottle up as deodorant, two of my favourite Greek varieties are whites. Santorini's flagship Assyrtiko, of course, which breathes in the island's volcanic rock and brackish breeze and creates a wine that makes you lick your lips and pucker up. The second one is Malagousia, a dwindling variety that was rediscovered by Vangelis Gerovassiliou, and reminds me of the peaches, mango and cream body lotion The Wife, Ph.D., rubs on her tummy whenever she's trying to seduce me. Besides these, however, I've recently re-discovered two other Greek whites that have further accentuated the country's unbridled potential as a world-class wine producer: Savatiano and Moschofilero. During recent industry events in Nicosia, I had the privilege of tasting two of these varieties' incarnations and, while they do not belt out Marvin Gaye's Let's Get It On in the same way Assyrtiko and Malagousia do, they've done enough to tickle my fancy. Savatiano was originally known as the main grape behind retsina, a status that unfortunately blemished its reputation as a variety capable of delivering bigger and better wines. 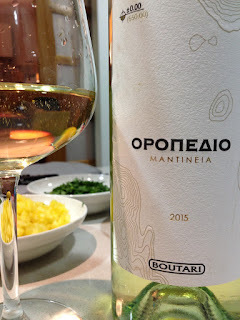 However, thanks to the work of Domaine Papagiannakos just a stone's throw away from Athens' airport, Savatiano has gathered steam during the past two decades and started showing plenty of potential as a grape capable of shining on its lonesome. As mentioned in a 2014 article by Tara Q. Thomas in Wine & Spirits magazine, Vassilis Papagiannakos' "young savatianos have caused waves all over Greece for their fruitiness and clarity—characteristics not often associated with the variety." 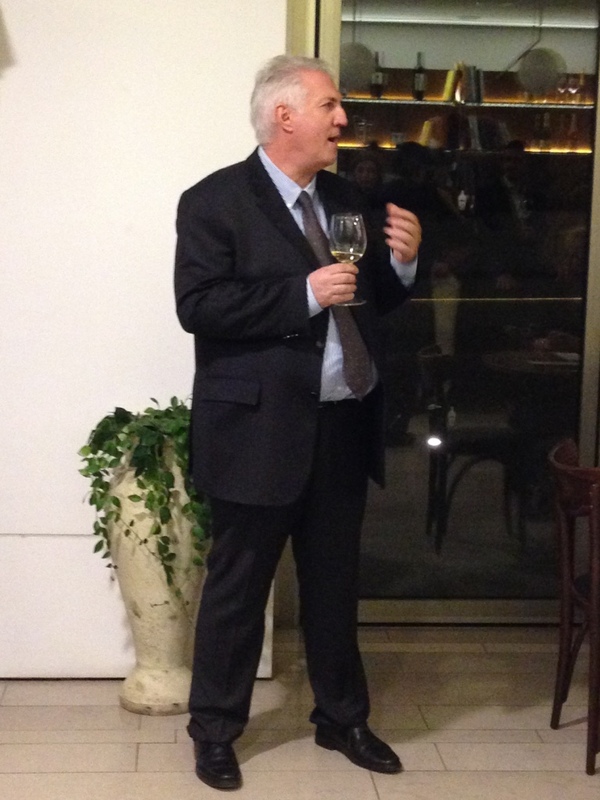 In an event hosted by importer Vassos Eliades Ltd., at the A.G. Leventis Gallery, Vassilis mentioned that this variety is his pride and joy, one that has been worked on for decades and has firmly put his winery on Greece's wine map. His 2015 rendition delivered as evinced by my review below. As for Moschofilero, I have always loved the versions put out by both Skouras and Tselepos. It came as a pleasant surprise, however, to enjoy Boutari Winery's latest experiment with the variety—the barrel-aged Oropedio from Mantineia—during a soiree organised at Caraffa Bastione by its importer Photos Photiades Group. I've always associated Moschofilero—with its pinkish hue, citrus undertones and oh-so-sweet spice—to a more subtle understudy to Gewürztraminer, and Boutari's latest experiment didn't change my mind. And before you get all uppity about my description for this variety, please take it as a compliment: Gewürztraminers are sometimes like a once pretty woman who's iced her face with one dollop too many of turquoise-toned makeup. 2015 Papagiannakos Savatiano - Vibrant aroma of orange peel, stone fruit, apples, white flowers and sweet spice. On the palate, there's plenty of apple, melon, some honeysuckle and beeswax, and (maybe, just maybe) a piney element, which could be my brain telling me we're edging closer and closer to retsina. Full-ish to the mouth with good length, quite waxy and a bitter finish, which can be confounding. 86/100. 2015 Boutari Oropedio Moschofilero - Somewhat tropical on the nose, reminiscent of pineapple doused in sweet spices and a touch of white flowers. The palate is dominated by notes of baked apples with cinnamon, some pear and a delicious citrus finish. Medium bodied, quite fruit forward yet short, and overall well received thanks to its loukoumi-like qualities. 87/100.